VIDEO: Germany Wins The World Cup! The game was a display of defense as both teams were scoreless until the 113th minute when Germany's Mario Goetze scored the winning goal and became a hero. World Cup Final Reactions: You Won't Believe The Celebrities That Tweeted During The Match! Birthday Boy, James Rodriguez Wins Golden Boot! Game of Popes: Who Will Win The Holy War? 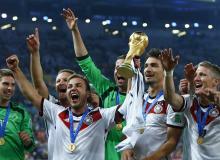 World Cup News: German Soccer Team Breaks Trophy In Celebrations! 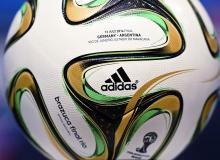 The World Cup trophy has been damaged, according to the German Football Federation (DFB), following intense celebrations. Celebrities here in the United States and at the World Cup Final in Brazil took to Twitter for their reactions during the dramatic final. See what they said, and posted below. 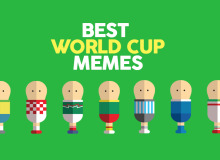 The FIFA 2014 World Cup produced some of the best memes in social media. Here are the best ones from the soccer tournament! 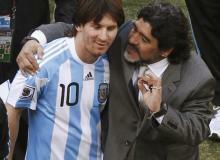 Argentine legend, Diego Maradona does not believe that Lionel Messi should have won the FIFA Golden Ball award. The preparations for Qatar to host the World Cup in 2022 have already begun. But should a country that bribed their way into the tournament and who have blatantly disregarded the health and safety of the migrant workers there really deserve to host the world's greatest tournament? 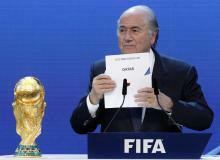 Find out why FIFA needs to strip Qatar of the World Cup ASAP and award it to a more deserving nation, say the US; all in this article. James Rodriguez celebrated his 23rd birthday on Sunday. His greatest gift though, was winning the 2014 FIFA Golden Boot. For almost two hours there was no difference between Germany and Argentina. That was until Mario Goetze brilliantly scored the first goal of the match on 113' minutes. 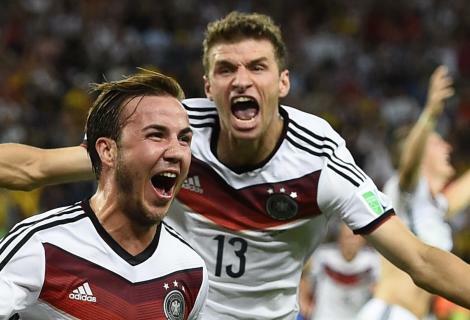 Check out this article as we say goodbye to the World Cup that sees Germany win their fourth World Cup trophy. 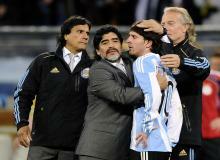 Argentina’s Lionel Messi won the 2014 FIFA Golden Ball trophy as the Argentine striker was named the best player in the entire tournament. 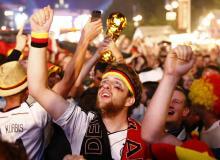 World Cup 2014 is over - now its time for Germany to party! The closing ceremony of the World Cup Brazil 2014 featured Shakira, Carlinhos Brown and Wyclef Jean. 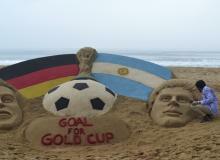 LIVE: Who Will Hoist The Cup In Rio? Stay with us throughout the course of the match as we bring you commentary, highlights, scores and more as die Mannschaft collides with La Albiceleste in the marquee final. 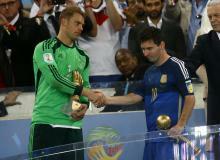 Germany World Cup 2014 Latest: Manuel Neuer Will Shut Out Argentina! The goalkeeper position is one that is often overlooked. 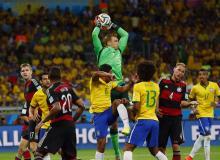 But if it weren't for a guy like Manuel Neuer, Germany would not be in the position that they will be in on Sunday. Check out this article to find out what makes Germany's #1, the best keeper on the planet. VIDEO: Psychic Puppy Is Back! 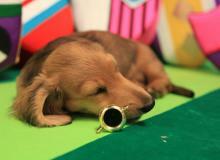 Bailey the Psychic Puppy returns to predict the final match of the 2014 FIFA World Cup. Who did the clairvoyant choose to hoist the cup? Watch the video to find out. 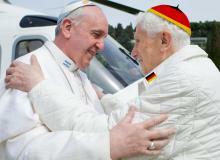 They have broken bread together, prayed together, and each ruled the Vatican respectively, but Pope Francis of Argentina and his predecessor, Pope Emeritus Benedict XVI of Germany, find themselves in the middle of a soccer rivalry as their two countries meet in the World Cup Final on Sunday. 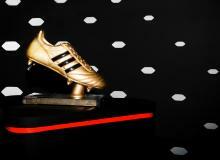 POLL: Who Will Win The Golden Boot? After 63 games, the 2014 FIFA Golden Boot race has come down to three men: Thomas Mueller (Germany), Lionel Messi (Argentina) and James Rodrgiuez (Colombia). With two of the three going head to head in the World Cup final on Sunday, anyone can take the crown. Who do you think will win? Which Latino Do You Want To Win The Adidas Golden Ball Award? 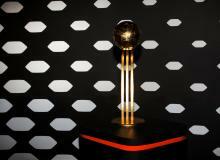 The ten nominees were announced on Friday for the 2014 FIFA World Cup Adidas Golden Ball Trophy. Five of the nominees are Latino and have a great shot at winning the award. Vote for who you think should win the award in our poll. POLL: Who Will Win The World Cup? The third time’s the charm when Germany and Argentina take the pitch on Sunday for the main event that everyone has been waiting for. Read what to watch in the World Cup Final match as well as our prediction on who we think will hoist the cup. See betting odds and please vote in our poll and tell us who you think will win the World Cup! Brazil Latest: You Must Read Brazil's Obituary! The Brazil national soccer team died today after two of the most humiliating losses in their country's history. After a humiliating 7-1 defeat at the hands of Germany, Brazil's second act was as atrocious as the first as they lost 3-0 to the Netherlands on Saturday. They are survived by Neymar, David Luiz, Jorge Silva, Hulk, Fred, and the rest of the disappointing stars of the 2014 FIFA World Cup.